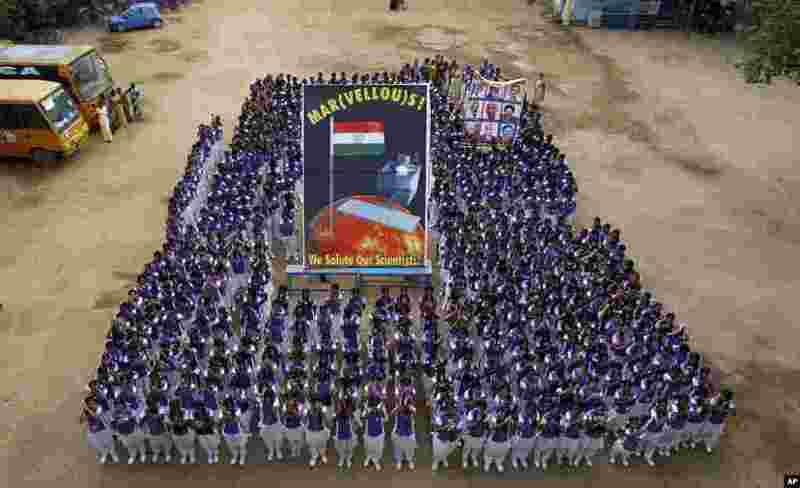 1 Indian school children pose for photographs with a poster of Mars Orbiter Mission satellite as they celebrate its success in Chennai, India, Sept. 24, 2014. 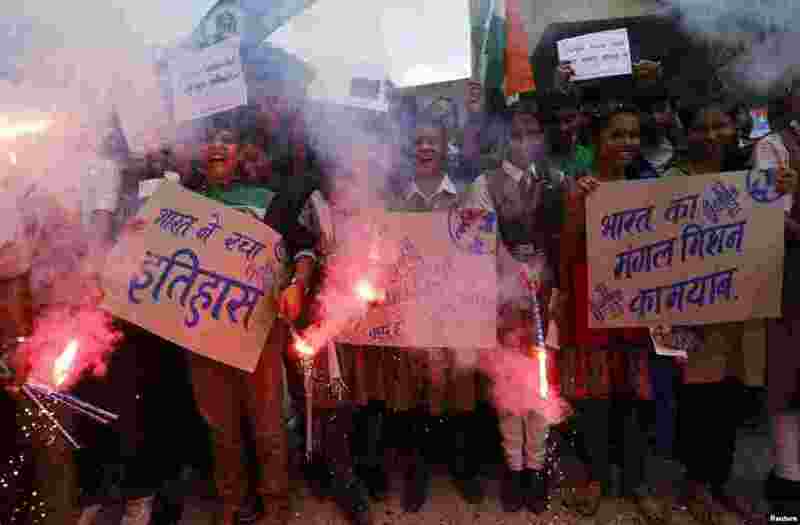 2 Students light firecrackers and hold placards to celebrate after India's Mars Orbiter successfully entered the red planet's orbit, at a school in the western Indian city of Ahmedabad, Sept. 24, 2014. 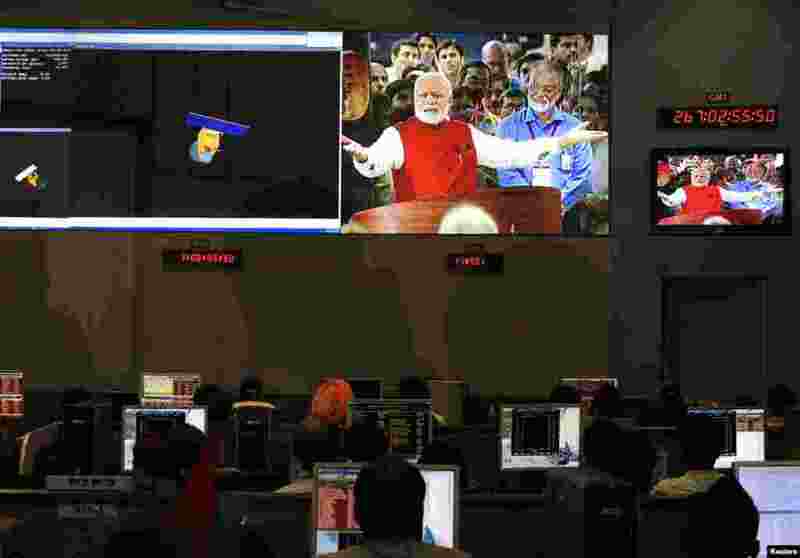 3 Indian Space Research Organization scientists and engineers watch Prime Minister Narendra Modi on screens after India's satellite successfully entered Mars' orbit, at the Spacecraft Control Center, in the southern Indian city of Bangalore, Sept. 24, 2014. 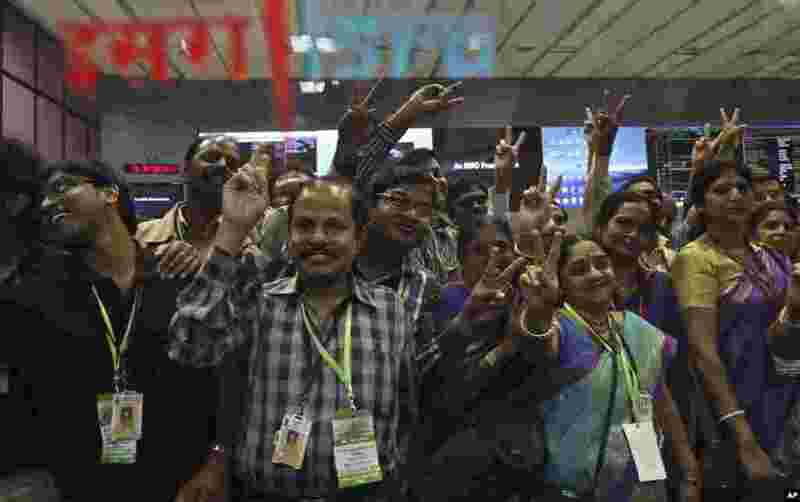 4 Indian Space Research Organization scientists and other officials celebrate the success of Mars Orbiter Mission at their Telemetry, Tracking and Command Network complex in Bangalore, India, Sept. 24, 2014. 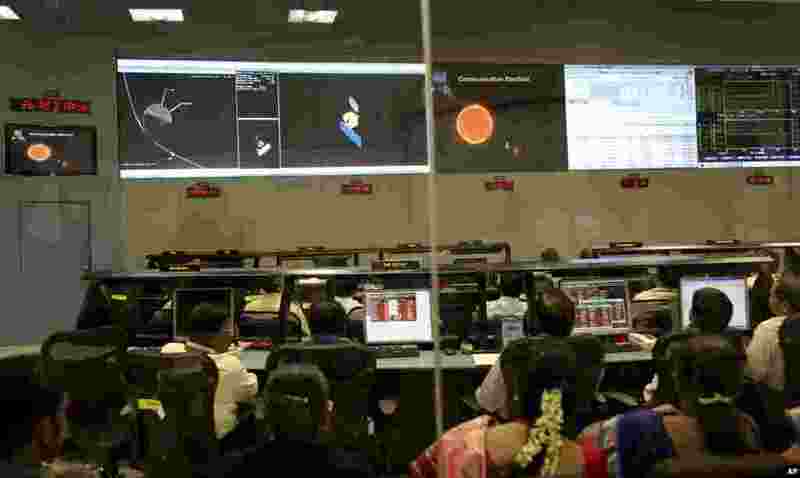 5 ISRO scientists watch screens display the graphics explaining Mars Orbiter Mission at their Telemetry, Tracking and Command Network complex in Bangalore, India, Sept. 24, 2014. 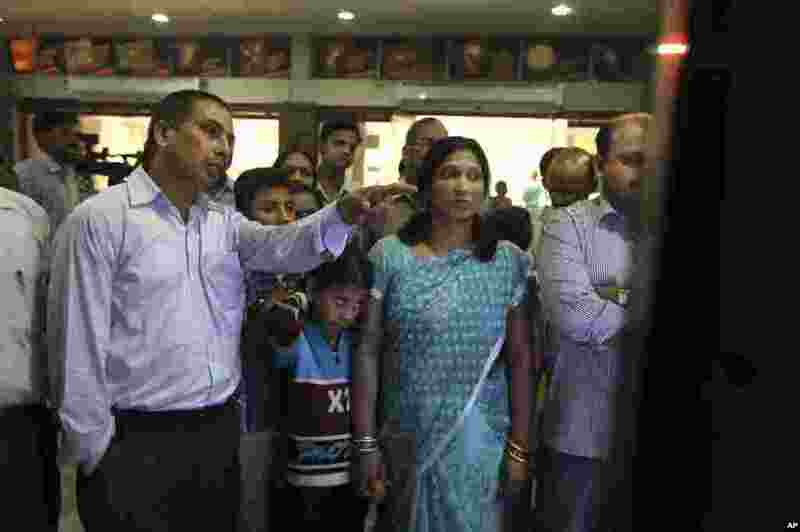 6 Indians watch a live telecast of the launch of the Polar Satellite Launch Vehicle in New Delhi, Nov. 5, 2013. 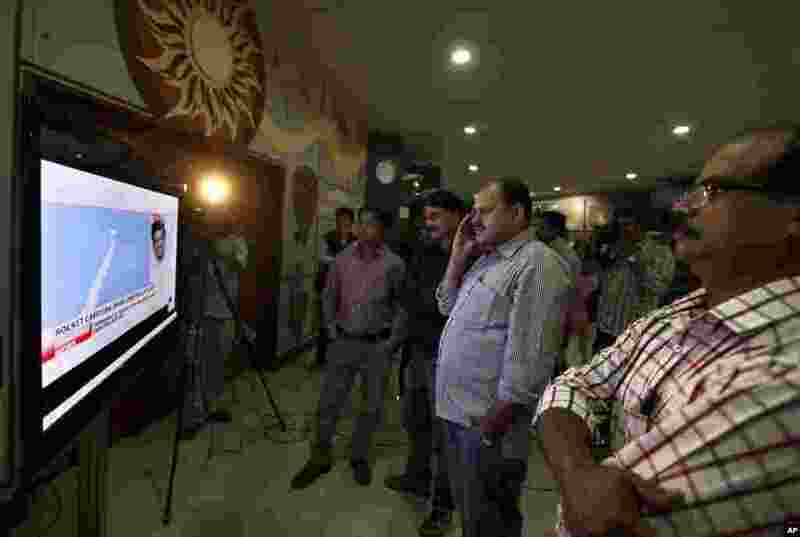 7 Indians watch the live telecast of the launch of Polar Satellite Launch Vehicle carrying India's Mars spacecraft from the east-coast island of Sriharikota, Nov. 5, 2013. 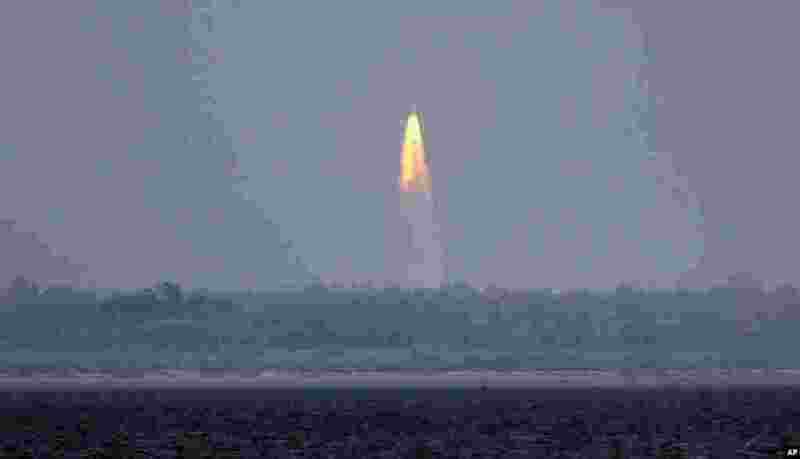 8 The Polar Satellite Launch Vehicle lifts off carrying India's Mars spacecraft from the east coast island of Sriharikota, India, Nov. 5, 2013.